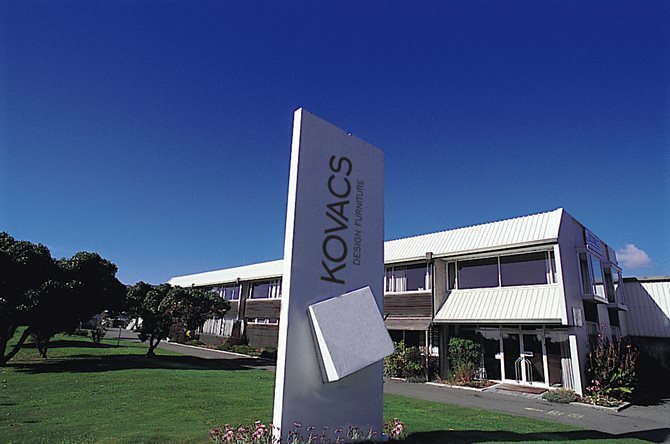 Recent news of various fashion labels running into problems with untruthful ‘Made In New Zealand’ claims has certainly got people talking here at Kovacs. It’s also the reason for that unconventional headline. There are as many instances of dishonesty and chicanery behind NZ-made claims as there are those of ‘green-washing’. That companies around the world continue to push deceitful environmental or local credentials is an unwelcome reality of our heavily marketed modern society. We are proud of our New Zealand heritage and our enduring and uncompromising approach to designing and manufacturing furniture here. When Stephen & Maria Kovacs first set up their furniture business in 1963 they called it Atlas, which would later change to Vertex Continental Furniture. In 1983 they moved the family name to the forefront. Since then a number of European brands have become household names both worldwide and here in New Zealand. Many of our customers assume the name represents an imported furniture brand. Over the last two decades imports have seen inferior quality products and flat-pack furniture saturate the local market. Consumer experts point to the price point as being a major factor to this appeal. It’s a fact of life, one we don’t dwell on. Instead we concentrate on doing what we do best. New Zealand is too small geographically to provide every raw material required for making many quality modern products – it would be naïve to expect otherwise. But our materials are sourced in Aotearoa where possible, our products are made right here. The closest we’ve got to robots are a CAD programme, a CNC routing machine and Hildy when she’s deep in concentration during the design process. So when we say ‘hand-made’ we mean it. When we say ‘made right’, we mean it. When we say ‘New Zealand made’… well, you get the idea. And if you ever need reassurance stop by for a chat. You know the address.